Cooperative breeding is an unusual kind of social behaviour, found in a few hundred species worldwide, in which individuals other than the parents help raise young. Understanding the apparently altruistic behaviour of helpers has provided numerous challenges to evolutionary biologists. 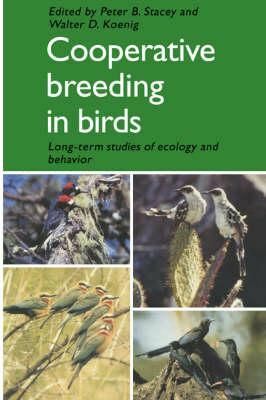 This book includes detailed first-hand summaries of many of the major empirical studies of cooperatively breeding birds. It provides comparative information on the demography, social behaviour and behavioural ecology of these unusual species and explores the diversity of ideas and the controversies which have developed in this field. The studies are all long-term and consequently the book summarises some of the most extensive studies of the behaviour of marked individuals ever undertaken. Graduate students and research workers in ornithology, sociobiology, behavioural ecology and evolutionary biology will find much of value in this book.